What a wonderful, informative and interesting morning spent with Frank on the Rembrandt and Golden Age walking tour. Highly recommended! Thank you Frank for a terrific tour! Despite the poor weather, we thoroughly enjoyed every minute of your fun and educational walk through the oldest areas of Amsterdam! Also really appreciated your recommendations on what to see in Amsterdam as well as the detailed map you gave us! Frank is a great guy, know about everything, not just Amsterdam best spots. He explained about history, politicians curiosities . We had a wonderful freezing afternoon. We had a fantastic walk with Frank. Very intersting places and Frank took care about our wishes. We will choose Frank next time again. Frank gave me a very thorough walking tour, then gave me directions for taking in a few other sights before I needed to head back to the airport. He was very knowledgeable, helpful and adaptable and I learned a lot! Thank you Frank for the wonderful tour of Amsterdam. It was one of the best in all our travels of Europe. You were very informative about the historical significance of the various areas we visited and about the culture of each section and you even cracked a few jokes along the way. You were very kind, friendly, considerate and fun to be with. It was a very leisurely tour and at a great pace for us, that made it even more enjoyable. Thank you for a fantastic tour and I highly recommend your services. Frank's tour was fantastic, taking us out into the countryside of the Netherlands for experiences that were most worthwhile. Frank was very friendly and professional and we very much enjoyed the entire day. Highly recommended. Frank met us at our hotel at the agreed upon time. He was extremely knowledgeable and friendly. The four hour tour went smoothly and we felt we saw Amsterdam in more depth than we would have experienced from a regular tour. Frank also arranged dinner reservations that evening after the tour. We would highly recommend Frank and would seek him out in the future. Frank did a great job of showing us around Amsterdam. We covered the major sites as well as some lesser known ones. He is very knowledgeable about the city and is flexible as to what you want to do and see. It was a very enjoyable day and I would certainly recommend Frank to anyone visiting Amsterdam. Frank was a delight to spend the day with. He was prompt, professional and very knowledgeable. It is obvious that he enjoys what he does and made our day in Amsterdam very worthwhile. I highly recommend Frank! You will not be disappointed. A+. Amazing time with frank. He customized the tour EXACTLY around what we wanted. we saw some really cool stuff that we would never have seen without a guide. We have travelled the world and engaged many guides in other countries to provide private tours. By far, Frank was the best guide we have ever had. He is incredibly knowledgeable and well-read. He is very personalable and extremely flexible in adapting our tour on the fly to address changing interests of our group. He presents information in an interesting and readlily understandable manner. We could not have been happier with our time with Frank on this tour. Our first time to Amsterdam, here for 2 days by cruise ship. Frank was very accommodating in arranging how and where we should meet, the ship was docked at the very busy Passenger Terminal. We booked a 3 hour walking tour of Amsterdam with Frank and it was unfortunately a day of Rain. Frank was quick to change plans from walking in the deluge to getting us on the metro instead. He was a pleasure to be with,very knowledgeable and showed us neighborhoods and sites we would not have found on our own. Frank was most solicitous, engaging, and informative for the 6 of us on our tour of the icons. We later had him as a guide outside of Amsterdam which was just as fabulous. He knew much about the history, the culture, the cuisine, etc. We would engage him again. Frank is outstanding. We've even discussed returning to The Netherlands partly to have another tour with Frank. He brought the history of this great country to life while blending that heritage with today's Amsterdam. He was always attentive to our interests and questions, responding with appropriate humor or seriousness. We most highly recommend Frank and, as previously stated, look forward to another experience with him. Frank was one of my favorite tour guides ever! We had the nicest day biking through Volendam, Monnickdam, and the countryside with him. He chose a great cheese farm/shop to visit and we had a wonderful lunch with him in Marken. Frank is very enjoyable to spend time with. My husband and I had many of the same interests so conversation was easy throughout the day. Frank plans great tours and is very patient with guests all throughout. I would highly recommend a tour with Frank! Amazing introduction to Amsterdam! Great tour Frank! Frank is a fantastic guide, very knowledgeable and personable. We enjoyed our walking tour of Amsterdam with him and he even arranged it to coincide with our visit to the Anne Frank house. Frank is an amazing tour guide, he is very knowledgeable and personable. The Dutch Icons tour gives you a great overview of the Dutch countryside, you will see the charming waterfront towns of Volendam and Marken (where you get to see wooden shoes being made) as well as a visit to a cheese maker and some very well maintained windmills. We also had a delicious lunch outdoors overlooking the water in Marken. Everyone in our group thoroughly enjoyed this tour and talked about it for the rest of our trip. Frank K. was an EXCELLENT guide! He was prompt, personable, flexible (our arrival in Amsterdam was delayed 3 hours), and showed us all the highlights of Amsterdam that were possible within 4 hours. We hit the "touristy" spots and also walked through several different neighborhoods to get a feel for the "local" spots. We thoroughly enjoyed Frank AND the tour! A great beginning to our vacation! Franks tour was fabulous. We were able to make changes on the fly. He was very knowledgeable and we had a great day. Thoroughly recommend. We had a wonderful tour with Frank. He was incredibly responsive during the planning process and both prompt and flexible during our tour. All along the way he provided amazing context for what we were seeing and watched out for us throughout. When we return to see Amsterdam, we will absolutely ask for his services again!!! Frank is an exceptional tour guide. He has a talent for explaining things and making them interesting. He kept my 11 year old son and 14 year old daughter engaged the whole time and they learned a ton about Amsterdam, the Dutch way of life and even enjoyed a visit to the museum with Frank! Frank is very meticulous and dedicated and provided us with so much helpful information/recommendations that made the rest of our stay easier and more enjoyable. Our family highly recommends Frank! Frank was excellent! We enjoyed our time together very much. Learned so much than we ever could have learned on our own. Would love to walk with him again. Frank is excellent! A fount of knowledge, historical background,--just everything! He went out of his way to accommodate a special request, and thoroughly answered emailed questions after the tour. Most highly reommended! We would highly recommend Frank. It was a fantastic tour and Frank adapted the tour for all ages of the party (including our young children). Thanks you for this fun and interesting introduction to the city! Frank made our visit to Amsterdam special. He went the extra mile by showing us how to get around the city easily. We would definitely give our tour 5 stars and recommend Frank as a terrific guide. Frank was absolutely great, very upbeat and obviously loves his country. Worked in an unplanned visit to Volendam including a boat passage to lunch. We could not be happier with our time spent with Frank, highly recommended. Six years ago I visited Amsterdam for the first time and Frank was my tour guide for several bike tours. He was so knowledgeable, so attentive, so well organized, so interesting, and so pleasant to be with, along with having a wonderful manner and sense of humor that when I visited Amsterdam again earlier this month this year, I made sure to book my tours with Frank. On this recent trip, I took my nephew with me and he and Frank got along famously. Frank is the best tour guide I've ever had. Wonderful Tour! So much information. I would absolutely do it again, Frank is the best! Frank was incredible! We booked our tour on the most crowded day of the year, tulip festival weekend. He knew how stay one step ahead of the crowds. Very knowledgeable. Would hire frank again. Frank was a wonderful tour guide. He communicated with us prior to the trip and offered other suggestions for exhibits we could see during the rest of our time in Amsterdam. He knew we wanted to see the highlights of Amsterdam with the focus on Rembrandt and his works on display throughout the city. He met and exceeded our requests and expectations. Would highly recommend Frank for any tour, especially those who love Rembrandt! Frank was amazing! He worked with us to design a great itinerary based on our interests and really personalized our tour with great attention to detail and comfort. He is knowledgeable, personable and we would have loved to book another tour with him if our schedules would have allowed! My husband and I are so fortunate to have had Frank as our guide! We explored the countryside outside of Amsterdam, seeing Delft and The Hague, along with the gardens of Keukenhof. Frank has a vast knowledge of his country and it was a pleasure to spend the day with him. His English language skills are fantastic. Loved our tour! Thank you so much. This was one of the best tours we have ever taken! Frank is a friendly and super knowledgeable guide, who gave us a spectacular day! There wasn't a question he couldn't answer—and he was so helpful in giving us suggestions for the rest of the trip. We had a great time!!!!! Thanks! Frank was very professional and extremely knowledgeable about the history of the city. He was also extremely accommodating to our needs and answered all of our questions completely. After this tour, I feel very knowledgeable about the city of Amsterdam, its history and its people. I highly recommend him. Very knowledgeable of the city. Command of the english language is very good. We were 6 ladies from Norway who had a really nice experience with our guide Frank. He told us lots of interesting things about Netherlands and the places we visited. Our weekend in Amsterdam became perfect with his help. We could not have had a better than we did with Frank. He was a truly amazing guide. We learned a ton, and felt very connected with him throughout the entire day. Extremely intelligent and animated when describing all the parts of Amsterdam that we walked through. Highly HIGHLY recommended. We have never used tours by locals, but we only had one day to tour outside of Amsterdam and I decided on trying a personal guide. Frank was very knowledgeable, but most importantly he listened to what I wanted to accomplish and tailored the day to my wishes. We had planned on taking a walking tour of Amsterdam, but didn't. We learned a lot about the Netherlands history and current situation with Frank. I would definitely use him again and highly recommend him. Great communication on setting time and place to meet. Concerned with what we might want to see and was knowledgeable on the city. Can recommend to U.S. (English speaking) travelers. Frank was a perfect match for our family, with his combination of good humor, deep knowledge and energetic enthusiasm. He was able to meet the needs of both adults and kids, keeping us enthralled with stories and excited about what we were seeing and doing. Each one of us was differently grateful for his deep knowledge and expertise. We recommend him highly! Frank was great! Loves the city and very pleasant tour. Frank is one of my favorite tour guides, and I have used him before, and will in the future too. I highly recommend to anyone visiting the Netherlands. We can not say enough good things about Frank. He made our entire day a delight. We started early at the flower auction. Which we highly recommend. It was our 10 year old's favorite part of the day. From there we enjoyed Kuekenhof where Frank guided us through the garden. On to the seaside village of Marken for lunch and see wooden shoes being made. And we ended the day at a cheese farm. Frank is an excellent guide. Book him if you can. Frank is an exceptional guide. He is very knowledgeable and made sure everyone in the tour party was well taken care of. I highly recommend Frank and the tour to anyone. The guide was friendly, competent and with a good sense of humor - very good experience! Frank is a knowledgeable, engaging guide. The 4 hour tour flew by. I feel that I received an education in Amsterdam history and current events. I highly recommend Tours by Locals and Frank as a guide. This tour was amazing!I totally recommend it.I had just a few hours in Amsterdam and I wanted to make the most of it.The guide is so flexible, kind and super nice person, he arranged a visit to mill village for me,it was an awesome experience.I saw original mills, how Gouda cheese is produced and a wooden shoes factory.The guide took me to all the places I wanted to see.Then we came back to the city and we took a river tour to see the canals.Thank you so much Frank for sharing a little bit of your county! Frank went well above and beyond in providing an outstanding tour. He listened as we talked about things we liked and made sure we had the best experience possible. My wife and I booked this tour as an introduction to Amsterdam on the first full day in the Netherlands. Frank greeted us at our hotel promptly. He had layed out an itinerary for a 3.5 to 4 hour walk. We covered a great deal of area because we said that we could walk as quickly as he would like. Frank provided a comprehensive narrative of the history (geographic, artistic, cultural, hydrological, religious, social) of this fascinating city. Tram riding and pedestrian/bike safety included. A great tour. Frank led our group for a tour of key sites in the city the first day we arrived in Amsterdam. He was very informative about the various sites, and had a deep knowledgeable without coming across as having "programmed" answers. We had a group of 11 travelers who peppered him with questions, and he always had thoughtful answers, and with a bit of humor. His English is excellent. It was a perfect way to get oriented to Amsterdam, which helped as we had free time over the next few days to explore on our own. Frank was one of the best guides we have ever had. Our group of 6 thoroughly enjoyed this highlights tour. Frank was very knowledgeable and thoughtful as well as attentive to our needs including our jet lag. All 6 of us would highly recommend Frank to anyone. Frank was outstanding. He had customized this itinerary for us and we enjoyed it thoroughly. He was informative, knowledgeable, attentive, and thoughtful. We would highly recommend Frank- one of the best Tours by Locals guides we have had. A really great tour with a great guide. Frank showed us a good piece of the countryside outside of Amsterdam and a part of the city as well. He provided a wealth of information about the Netherlands, its history and how it developed. We enjoyed this tour to the utmost and would highly recommend it. Frank was a great guide! Amsterdam walking tour was so informative and fun! Loved seeing the windmills too! Frank provided an interesting and in-depth walking tour of Amsterdam for our group of 6. The overview he gave in the Rijksmuseum provided most of us with what we needed to see, but as he took us there near the end of the day, those who wanted more had additional time to explore on their own. We learned many new things, and Frank was more than able to answer all the varied questions we threw at him. The pace was just right. Frank was an outstanding and very patient guide! We explored many venues and saw a variety of sights! He also gave us wonderful history lessons and was so patient answering our many questions! We would recommend Frank to all!!! I've been using tours by locals all over Europe for years and Frank was one of the best guides I've ever had. He was flexible and tailored the trip to our needs...he was considerate and seemed to know exactly what we would want to see. I highly recommend Frank. You can't do better than him for a private guide. One of the best days of our entire trip was the day visiting the countryside with Frank. He is knowledgeable, kind, patient and immediately keys into what's important to the visitor and makes sure to focus attention to that. 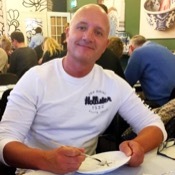 I HIGHLY recommend Frank and will recommend him to anyone I know visiting Amsterdam. Words cannot adequately convey how much we loved our tour with Frank. He is friendly, extremely knowledgeable and easy to be with.He keys in on what's important to you. The 8 hour day flew by. Being with Frank was definitely one of the highlights of our entire trip. I highly recommend booking a tour with him and hope to use his services again in the future to see more of Amsterdam. Frank is the best! We had a wonderful tour, and he was very flexible. I would rate him a " 10 star" if I could!! Great tour with Frank! He was very accommodating! Highly recommend him! Frank was fantastic! He gave us a full day of learning about life in Amsterdam and we could not have been more delighted. This tour was our very favorite Amsterdam experience. Since we had gone on a tour with Frank to Bruges already, we knew we had the best tour guide ever, and just allowed him to plan our day. It was a soaking rainy day, but my sister and I had a super time seeing the villages, riding the ferry, going to the cheese factory, and climbing a windmill. Frank is prompt, fun, informative,and courteous. We learned tons about the Dutch and the dams, and we enjoyed our experiences immensely. If you are fortunate, you will hire Frank! We took a tour 6/19/16, 10 hour tour to the Hague, Rotterdam and Delft. We were met a the arranged time and had a wonderful day with Frank. He was very congenial and gave us lots of information both practical about getting around Amsterdam, where to eat, things to do which has been very helpful. He had lots of information about the 3 sites visited and other stops that we made. The harbor cruise in Rotterdam was also very enjoyable. All in all a great guide and a great experience esp.early in a visit. My sister and I were concerned about such a long tour, but we wanted to see Belgium. What a great day with having Frank as our guide! Frank was outstanding in every way. He was knowledgeable and fun; and he was good at recognizing our needs. The stops at Rotterdam, the Flood Barrier, and Antwerp were very interesting, and our visit to Bruges was exceptional. Frank made certain we experienced Bruges's most noteworthy places. He also knew the best places to get Belgium waffles, fries, and chocolate! Frank met us at the ship and took us to places we would never have found on our own. He knows the city intimately and was able to bring it to life. He was the perfect choice for our day in Amsterdam. Frank was an incredible guide and out rip to the windmills, cheese factory and the beautiful little village with the shoe factory the PErfect way to spend the afternoon. The views are beautiful. Frank was easy going and extremely informative. Truly loved it. We had the opportunity to tour S. Holland with Frank K on his Ancestor tour. My grandfather was born in Holland before immigrating to the US; we planned the trip for my dad who had never visited his homeland. Frank was ABSOLUTELY wonderful! He planned a spectacular visit, and he did a lot of work to make the day special. He found and took us to several areas associated with my family's history. We will definitely take another tour with Frank! We can't recommend Frank enough. He's by far the best! Frank is wonderful. We had 8 hours with him and he showed us so much and exactly what we wanted to see. My wife and I highly recommend him for his knowledge and interest in showing the beautiful villages north of Amsterdam. Wonderful tour by an exceptionally outstanding tour guide, Frank, who personalized the day for us, covered all we wanted to see, and provided us with an insider's view of The Netherlands. Fantastic Day and Tour!!! Our trip to the gardens and then to Markken and Voldam was just magical! Frank was an amazing guide and host! Everything was perfectly planned! Thanks SOOOOOO much Frank!!! Although the weather was cool and rainy for our walking tour, we had a great time! Frank was a excellent guide! Very easy to hear and follow. 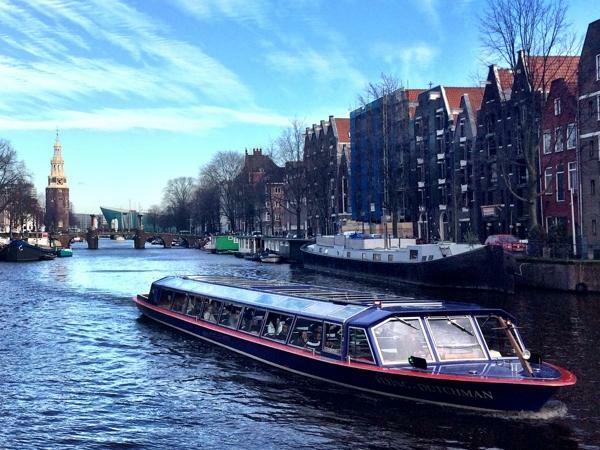 He gave us some great ideas for things to do on our extra day in Amsterdam! From our first contact via email with Frank he was so helpful and informative that we felt we knew him when we took the tour. He is an excellent guide and we would highly recommend him. Our guide, Frank, could not have been better. He was thoughtful of all our needs. He was very professional and made the facts and information delivered in an enjoyable way. We had a multigenerational group with us and he accommodated everyone. We highly recommend his services. 5 out of 5 rating.